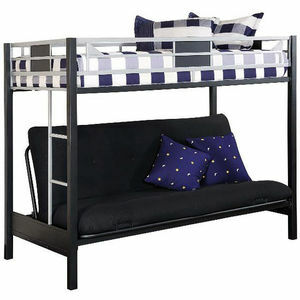 Children behind the futon or in the ladder area of the bunk bed can get entrapped when the futon and its metal frame are lowered from the seated to the flat position. Also, the space between the last rung on the bunk bed's ladder and the futon mattress is too small, which can allow a child's body to pass through, but not the head, posing a head and neck entrapment hazard. The recall involves about 30,000 bunk beds. The bunk beds have model number BFB1008 located on a label on the upper bunk support rail. Immediately stop using the beds and contact Big Lots toll-free at 866-244-5687 between 9 a.m. and 5 p.m. ET Monday through Friday, e-mail talk2us@biglots.com or visit biglots.com for a free repair kit.